It was a rainy day so I got together some old photographs and a frame. The glass had been smashed in it years ago and I'd kept it for such a day. That day had finally arrived. Hooray! We cut out all the dodgy backgrounds and arranged them to fit inside the border. 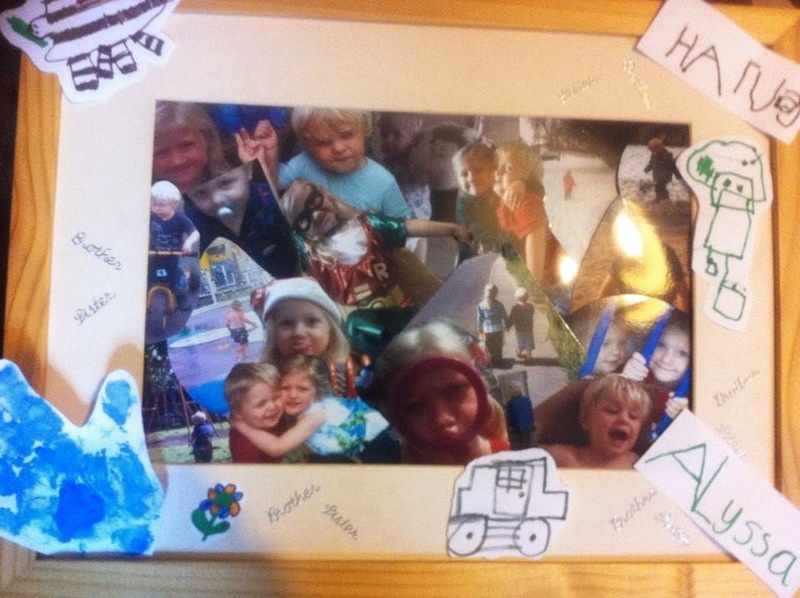 The Sweetpeas then stuck some 'brother' and 'sister' labels around the edge and we also added some random pictures that they had drawn. avoiding the washing up and making something together.